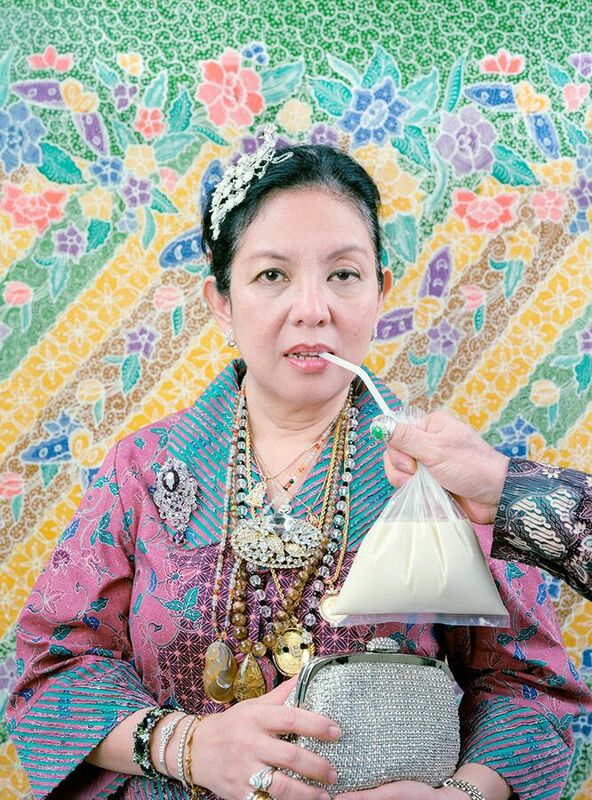 Leonard Suryajaya uses photography to test the boundaries of intimacy, community, and family. Many of his investigations are rooted in the particularity of his upbringing as an Indonesian citizen of Chinese descent, as a Buddhist educated in Christian schools in a Muslim-majority country, and as someone who departed from his family and his culture’s definitions of love and family. His works show how the everyday is layered with histories, meanings, and potential. In elaborately staged photographs bursting with competing patterns and colours, Leonard creates absurd but affectionate tableaux featuring his family. Enlisting his loved ones into his photographic project, he encourages ever more wild combinations and poses as means for them to perform their loyalty. The results are photographs that are tender and critical, bound up as they are with the struggles of familial authority and self identity.